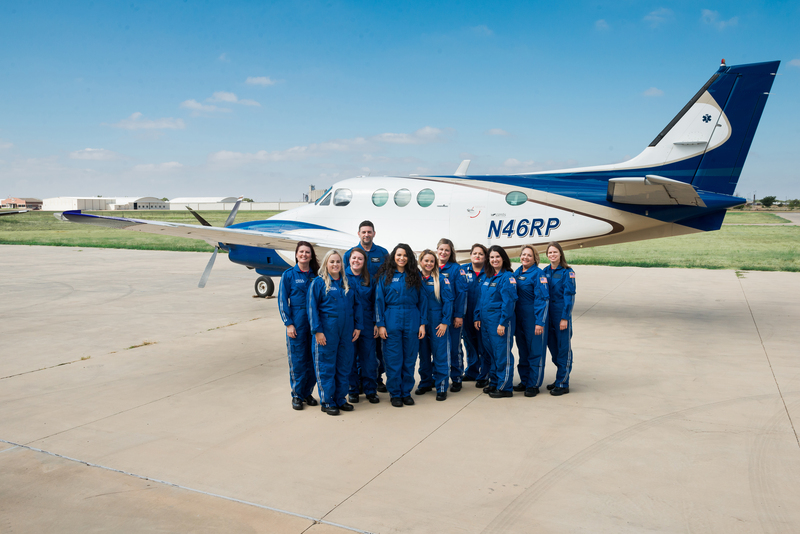 The BSA Neonatal Intensive Care Unit (NICU) transportation team flies to rural communities to transport babies by airplane from area hospitals to the Level III designated BSA NICU. The NICU transport service is also able to transfer babies from BSA to referral hospitals for surgical or other medical needs. BSA utilizes one of Apollo MedFlight’s state-­‐of-­‐the-­‐art King Air 90 aircrafts for the trip. During the flight, a specialized team comprised of a NICU physician or nurse practitioner, nurse, respiratory therapist and Apollo flight crew member care for the baby. To monitor the baby’s heart and lungs during transport, the baby is placed in an isolette that provides a warm, quiet environment. “We are equipped with ventilators, monitors, IV pumps and different types of medication to provide the highest level of critical care for our babies during transport," said BSA Neonatologist Dr. Kelly Clements. "Once we arrive at BSA, the infant is immediately taken to our Level III designated NICU where we have 24-­‐hour coverage by a team that works collaboratively to give babies the care they need." The BSA NICU’s state-­‐of-­‐the-­‐art technology includes a minimal stimulation room, whole body cooling therapy and the only Neurally Adjusted Ventilatory Assist system in the Panhandle. BSA is holding an event to introduce the NICU transport team and celebrate the BSA NICU 20th anniversary on Thursday, October 11 from 5-­‐7 p.m. in the BSA Auditorium on the second floor of the main hospital. designation for those among the top for rate of improvement in the nation over five years. For more information, visit bsahs.org. wing, and ground ambulance. For more information about Apollo MedFlight visit apollomedflight.com.